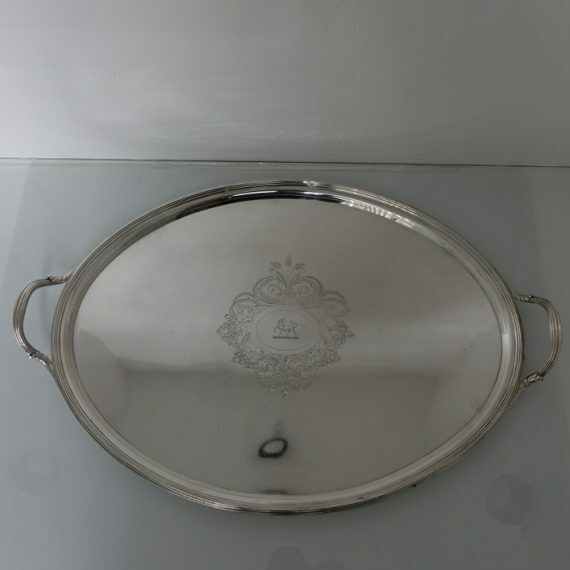 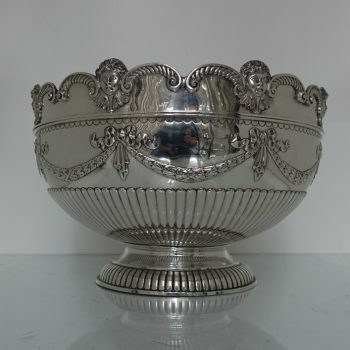 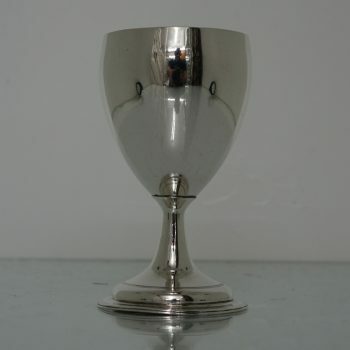 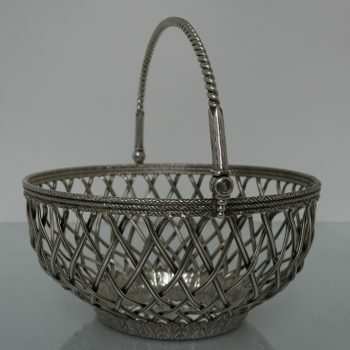 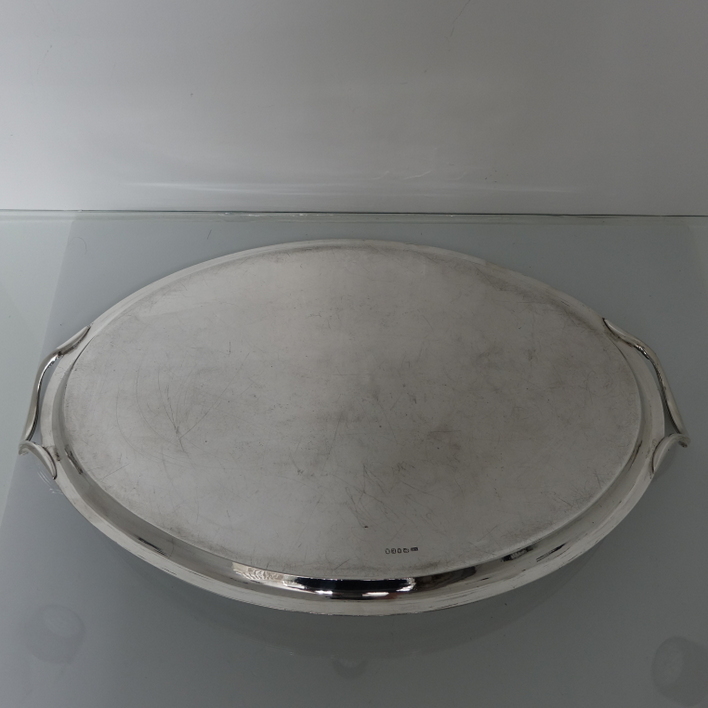 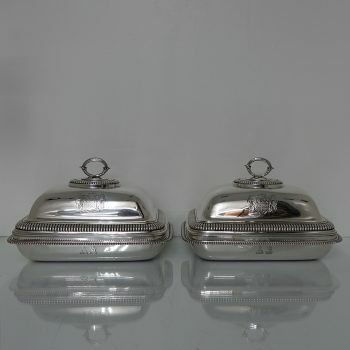 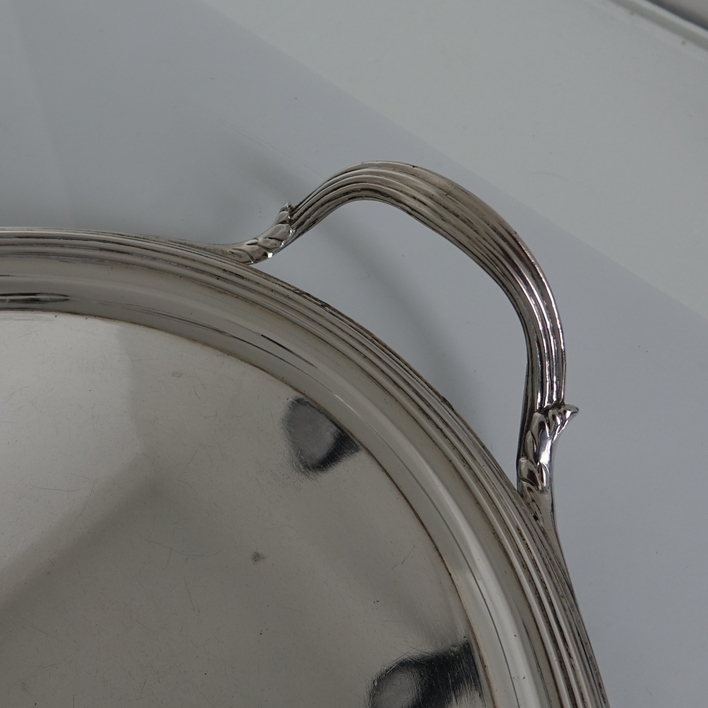 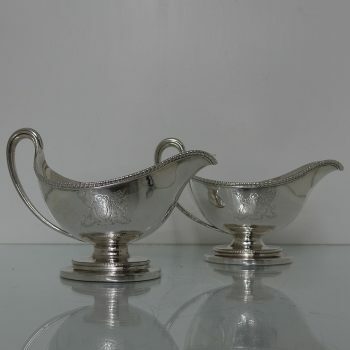 A very elegant early 19th century silver tray. The tray has a reeded border with raised half acanthus leaf handles. A very elegant early 19th century silver tray. 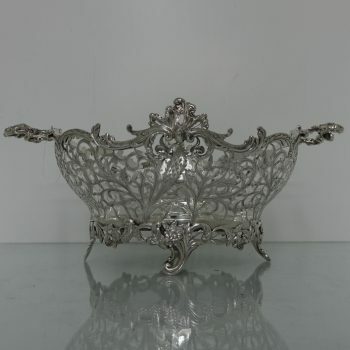 The tray has a reeded border with raised half acanthus leaf handles. 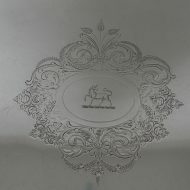 The centre has a very ornate cartouche in which sits a family crest of a unicorn. 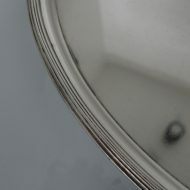 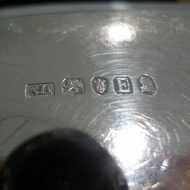 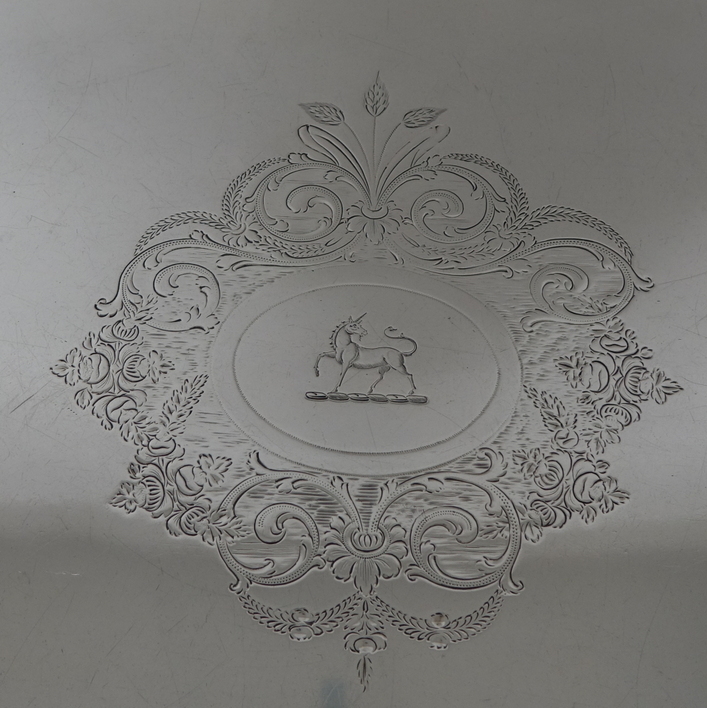 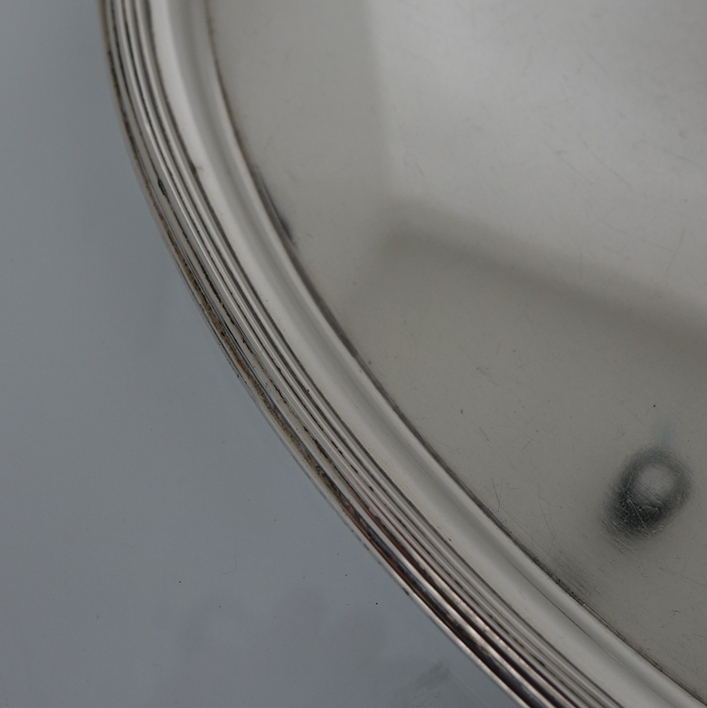 The hallmarks of the tray are struck on the underside of the base.